Did you know that until recently, soda was the most popular beverage in the US for nearly 2 decades? It wasn’t until soda started to be blamed for the rise in obesity that our old faithful friend, WATER, rose back to the top in 2013. Water makes up for about 60% of the human body. We NEED water to function properly. I think one of the reasons that people undervalue the necessity of water for their bodies, is because they don’t truly understand everything that their bodies rely on water to accomplish for them. If I were to ask someone if they wanted their body to be able to regulate their body temperature, digest food, and carry oxygen to their cells, I guarantee the answer would be yes! These are all important and necessary functions of the human body for survival. Did you also know, that the human body can go weeks without food, but can’t go for more than three days without water? Crazy, right?! That is how vital water is to our health and well-being. There are numerous things our bodies do everyday that cause us to lose fluids, and require a need to rehydrate ourselves. There are the obvious ones that occur when we are sick. For example, vomiting, diarrhea, and sweating. Of course, sweating is a function that occurs while sick, or well, but it does increase during bouts of illness. Water is needed to form saliva in your mouth for digestion. Water is also needed to break food down into smaller parts, to be used properly by the body—absorption of nutrients. The brain needs water for the neurotransmitters and hormones needed throughout the body. The body regulates temperature using water. This is another reason why it is essential to stay hydrated when you are sick. There is water in the blood which helps deliver oxygen to all the tissues. Water makes up the fluid that surrounds and cushions the brain and spinal cord. Your joints need water to cushion and lubricate, in order to move properly. Cells in the body need water to regenerate and grow. It keeps the mucous membranes moist. Fluids help to flush the waste products out of the body, that are naturally made in the body, and the toxins that we are exposed to daily. Water is in Lymph. Lymph is the fluid that is part of your immune system. Energy! Lack of water is the number one reason for daytime fatigue. Given all of the functions water helps with, you can imagine the negative impact dehydration can cause to the body. We even need water to breathe properly. When fluids become scarce in our bodies, they try to limit the amount of fluid they lose to breathing! Our bodies need humid air to breathe effectively. 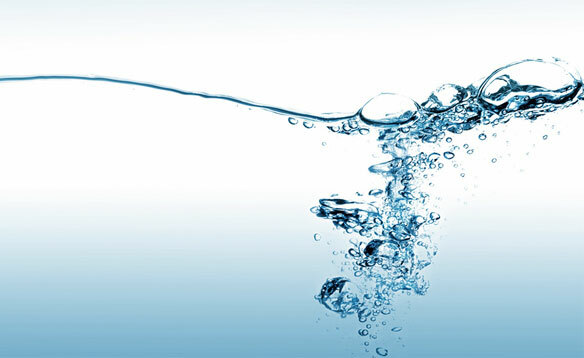 We need water in order for our mucous membranes to moisturize the air we breath before it hits our lungs. When our bodies become dehydrated, mucous membranes become drier. This leads to the lungs being more easily irritated by common allergens, such as, mold, dust, and cigarette smoke. Lack of moisture leads to dry, unproductive coughs, and further irritation to the lungs. This is one of the reasons it is extremely important for people with allergies to consume enough water on a daily basis! Aside from allergens, dehydration also lowers the body’s immune response. This makes the body more prone to viruses and bacteria. Many patients of mine, that follow the above recommendations for water, come back into my St. Louis office, and report that they have more energy, less pain, better looking skin, and better digestion. Take the water challenge, and find a water bottle! Water is the most essential element of survival!